Do you love policy and decision-making? If so we have the opportunity for you! SCAPTA will need to appoint a DELEGATE for the 2015 House of Delegates in National Harbor, Maryland, May 31-June 3, 2015 and SCAPTA will help fund your trip. This position will be filled by an appointment from the SCAPTA BOD. Please contact Gretchen at seif@musc.edu if you are interested in this position by no later than 12:00 noon on 2/28/15. HAVE YOU HEARD? MUSC has a new Master of Science in Health Informatics (MSHI) program designed to ensure graduates are prepared (a) to select, implement, use, and evaluate healthcare information systems such as electronic health records (EHRs) and data management and analytic systems; (b) to lead organizational efforts in health informatics and IT; and (c) to apply data analytical skills to transform patient care and the care delivery process. Graduates of the program will be prepared to assume positions as data analytics officers, clinical system analysts, health IT project managers, and chief medical/nursing information officers in hospitals, physician practices, and other health care settings. It is a New Year! A time for good deeds and warm wishes. There are few better feelings than recognition of a job well done. With that in mind: It is time for nominations for all the 2015 SCAPTA Awards! We all know someone worthy of recognition. What better time than now to express our thanks and admiration for jobs well done? Nominations for the 2015 SCAPTA Awards must be in by March 1, 2015. Topic: "Current Topics in Shoulder Pathology"
Please RSVP to dave.rav@gmail.com by Feb. 27. The Carolina Clinical Education Consortium Spring conference is at Elon University March 20-21. Course 1 (1.6 CEUs) is the Basic CI credentialing course. Course 1's intended audience: Physical Therapists who have been APTA Basic Credentialed CIs for a year or more. The program's unique philosophy and design will enable physical therapists, who are APTA basic credentialed CIs, to achieve the best outcomes for student learning by concurrently advancing concepts of clinical teaching and clinical practice. DEADLINE FOR REGISTRATION IS FEB. 27. If there's one thing physical therapists and physical therapist assistants know a thing or two about, it's patient transformation, and how physical therapy can make a very real difference in the life of a patient. There are some great stories out there, and now it's time to share them. APTA is celebrating the transformative power of physical therapy by collecting powerful stories of patients to share at MoveForwardPT.com, APTA's official consumer information website, and via social media. If you have a current or former patient or client whose life has been transformed by physical therapy, please share it, or encourage the individual to do so. A recent news release from the American Physical Therapy Association highlights the reintroduction of legislation in the U.S. Senate and House of Representatives recognizing the ability of physical therapists to make return-to-play decisions for youth sports participants. It's been only three weeks since 85-year-old Donna Chadburn was released from hospice care without a bright prognosis. She recently walked with assistance across the pool at the Marshall White Center in Ogden, Utah. Things are looking a lot better for Chadburn now, and her daughter, Ilene Greene, gives the credit to the pool and her physical therapist, David Worthington. A 10-year study of 1,392 infertile women shows those treated with a physical therapy approach have achieved pregnancy rates double those of surgery. Researchers claim women treated with physical therapy enjoyed just-as-good if not better than standard medical treatments for most common causes of female fertility. The obscure, seemingly random universe of health-care pricing is getting a little less opaque today. Some of the country's largest health insurers are coming together to reveal the prices they pay for dozens of medical services across the country in an effort to help consumers become savvier shoppers. 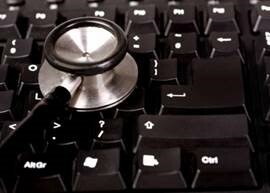 It's Oct. 1 and the ICD-10 diagnostic coding vocabulary is in effect. Now what? According to one expert, that answer depends on how prepared you are and how much money your organization has on hand. "For some, the transition will be relatively seamless," said Pam Jodock, senior director of health business solutions for HIMSS North America. "Others may experience a loss in productivity as office staff familiarizes themselves with new coding tools and processes." Self-awareness is crucial in the workplace. It can also be dauntingly hard to get. Knowing your own strengths and limitations, and how others see you and your behavior, has been linked to a range of positive outcomes. But when it comes to understanding how others see us, many of us are in the dark. There is a great deal of uncertainty and fear about how the Affordable Care Act, ACOs and other changing components of the healthcare system will affect private physical therapy practices. In many areas of healthcare, we are seeing progressively more corporate conglomeration of private practices and the "pushing out" of small private practices. Physicians are finding it much harder to keep their practices profitable, and hospitals/corporations are buying up them up left and right. What does all this mean for physical therapy private practice owners?